Item # 317720 Stash Points: 1,795 (?) This is the number of points you get in The Zumiez Stash for purchasing this item. Stash points are redeemable for exclusive rewards only available to Zumiez Stash members. To redeem your points check out the rewards catalog on thestash.zumiez.com. Get your outfits on lock for the warmer months with the Vans Classic White and Black Tank Top. 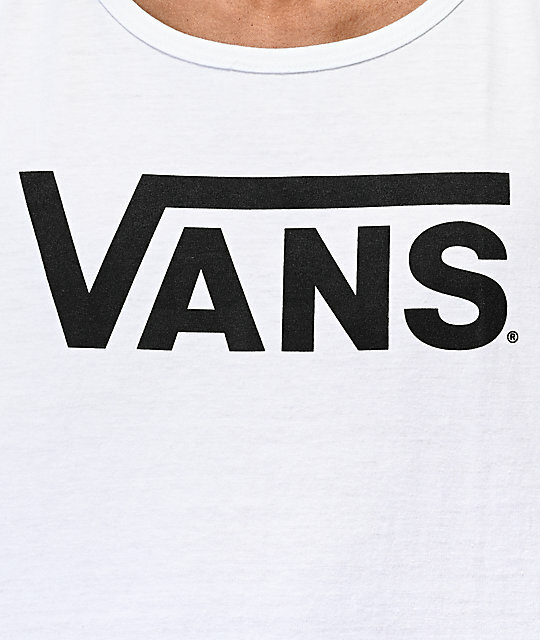 The perfect way for showing off your love for the iconic action sports/lifestyle brand, this cotton constructed garment displays Vans' signature logo script across the chest for all to see. 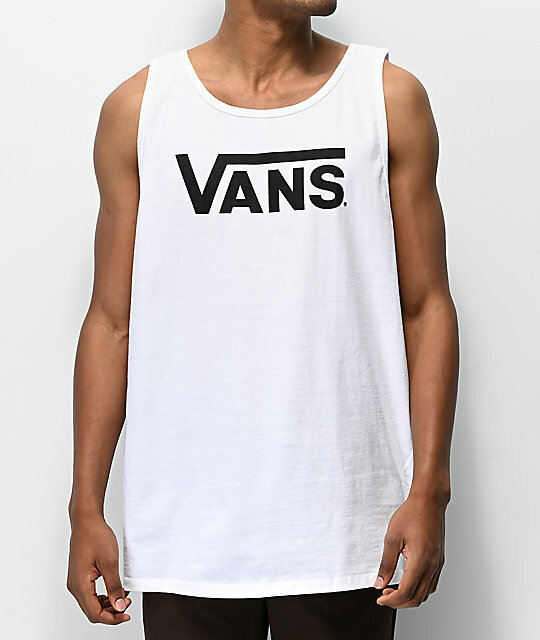 Classic White and Black Tank Top from Vans. 31.5" (80cm) from top shoulder to bottom hem.